1940 Camel Cigarettes original vintage advertisement. 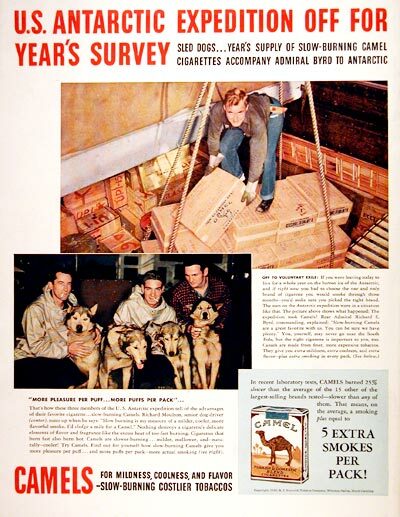 The cigarette chosen for Admiral Byrd's year long U.S. Antarctic expedition. Sled dogs and a year's supply of slow burning Camels featured.